We all lie, whether we admit it or not. We lie to ourselves in self preservation or self-justification, we lie by omission – choosing to stay silent rather than speak the truth – or we tell ‘white lies’ to avoid causing hurt or offence to others. And lies are at the heart of Tom Vowler’s atmospheric debut novel. Part psychological study, part crime thriller, part mystery, even part love story: What Lies Within defies pigeon-holing. Set on Dartmoor, it uses a split narrative to tell the parallel stories of Anna, a successful ceramicist living with her husband and children within sight of ancient Wistman’s Wood, and an unnamed, idealistic young teacher who pays a terrible price for her naivety. Anna, on the face of it, has it all: a patient and loving husband, a beautiful home in the heart of of the National Park and a burgeoning pottery business. But she is not a woman at ease with herself or those around her. The escape of a prisoner from the nearby prison preys inexplicably on her mind, and when her son – her firstborn – starts to behave in an erratic, secretive way (but not unusual, after all, in adolescents) her reaction appears disproportionate. Gradually, by degrees, we begin to realize that Anna is living a lie. She’s doing it for understandable reasons, but she’s lying nonetheless and the trouble with lies, of course, is that eventually the truth has a habit of surfacing – often when you least want or need it to. 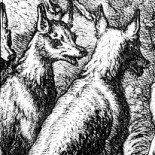 As the two storylines converge, the enshrouding mists begin to clear – and reveal a malevolent and unhinged presence on the moor – watching, waiting, thinking. He too is lying to himself – and it’s a lie that will eventually lead him into direct and violent confrontation with the object of his obsession. The house moaned as it was buffeted by a south-westerly that swept in from the Atlantic. Above, in the rafters, it creaked like an old man rising from a favourite chair As the first hint of daylight touched the land, a fine mist rendered the valley ethereal. Anna shivered slightly as she lit the fire; they’d have winter’s first dusting of snow in a week, people said. What Lies Within is a haunting but ultimately satisfying story of loss, truth and resilience that will stay with you long after you’ve finished reading it. Headline. 2013. ISBN: 978-0755392183. 304pp. 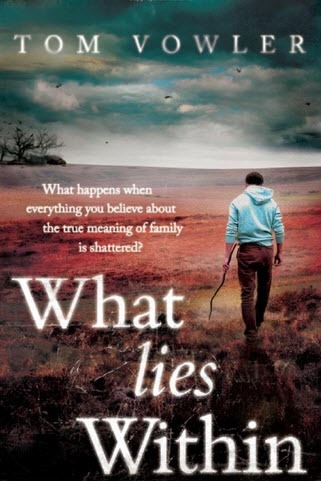 We have TWO copies of ‘What Lies Within’ to give away. To be entered in the draw, just tell us which county Dartmoor National Park lies in. The two winners will be drawn at random next Friday. Oh, I want to read this! Dartmoor is in Devon! I’m guessing from the tags that Dartmoor National Park is in Devon, but I’m in the US. Can I still enter? That sounds just my sort of book. Dartmoor is of course in Devon. Enter me please! Some of my ancestors are from Devon. Love reading about it. Okay. I threw the names up in the air and the first two my dog checked out were the winners. Laurel and Carys … congratulations! I’ll be in touch for your contact details. This entry was posted on August 2, 2013 by Moira in Entries by Moira, Fiction: 21st Century, Fiction: crime, Fiction: historical, Fiction: literary, fiction: mystery and tagged Dartmoor, Devon, Tom Vowler, West Country.